A steady day working through repairing & refurbishing items: a good turnout of six people on the bank holiday weekend. 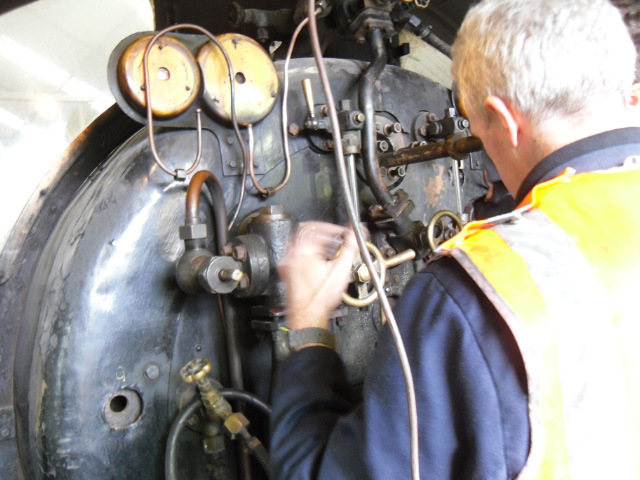 Ian Pearson, Paul & James Swainston, Peter Ellis, Joan & Andy Lowes, throughout the day we had impromptu MIC training on tea making & different types of engines. 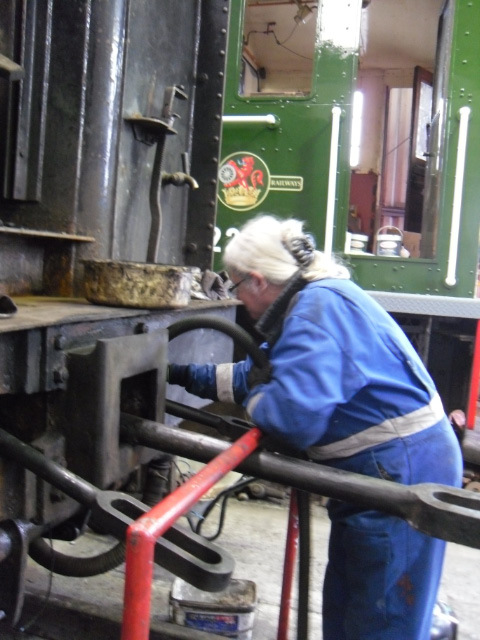 The drag box on the tender was cleaned out or given a ‘spring clean’ using Henry and a scraper (see photo). 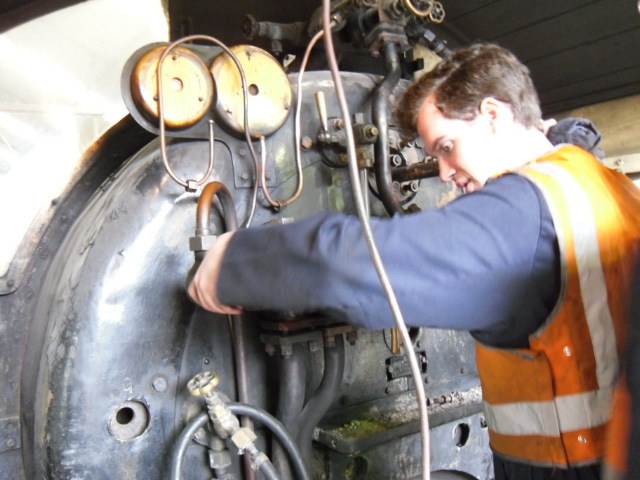 While we had the use of Henry the loose carbon was removed from the valve chest & cylinder ports. The back head valves have been stripped, cleaned, skimmed & built back up, these include both clack valves; injector steam valves & steam heat valve (see photos). The gauge frame blow down pipes have been annealed also the copper rings for the valve & cylinder covers. 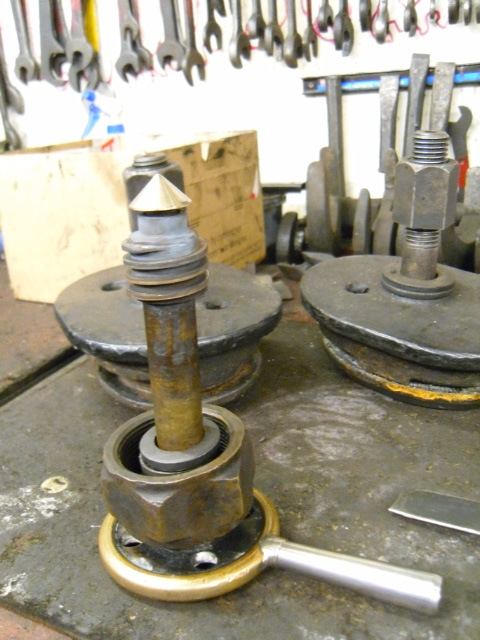 I heard a rumour that the wheels are coming out next week, so the split pins for the adjusters on the driving axle springs were removed in readiness, we will wait and see. Can I congratulate the people involved in cleaning under the engine, a vast improvement! We have decided that next Saturday (6-5-17) the Q6 team are taking a holiday so Deviation shed will remain locked. Sorry to disappoint but you could always come along the following weekend, Wednesdays will remain as normal. Gordon Wells has done some more preparations for the pit 110v sockets installation.